1 tablespoon of dried parsley mixed with paprika and pepper. Marinate the chicken breast with the parsley, paprika and pepper mix. Add salt to taste too. Place the pepperoni slices inside the chicken pocket (at least 4 per breast) and top with cheese. Close the pocket. When the chicken is well cooked and browned, about 10 minutes of on one side and 8 on the other) take it off the flame and let it rest. Boil and skin the sweet potato. Chop it into 1/2 inch chunks. Add chopped mint leaves to it and mix well. 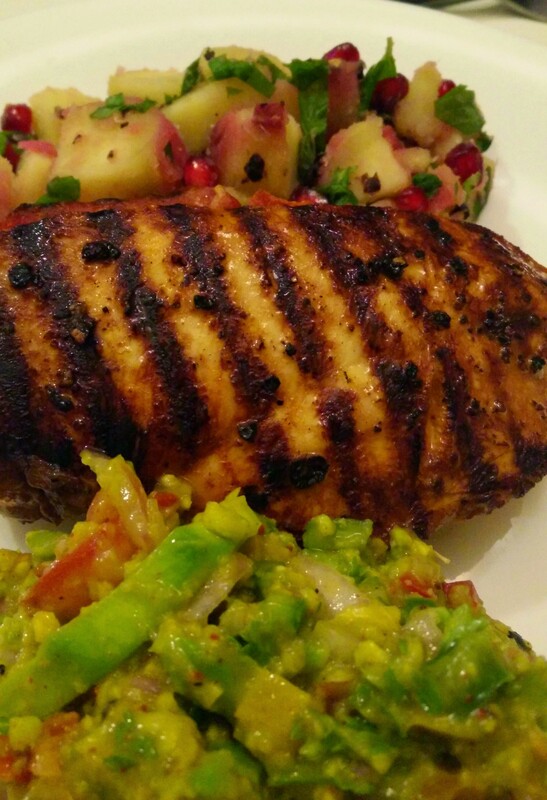 Sprinkle pomegranate seeds and serve as an accompaniment to any protein, like a steak or burger or even ribs. Using a potato masher mash the pulp and add the salt, cumin, garlic and paprika. 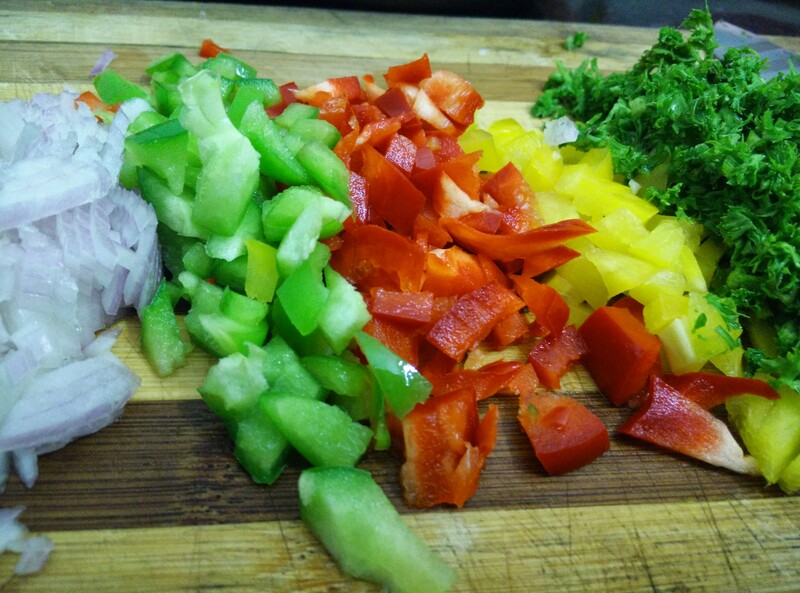 Then, fold in the onions, tomatoes, bell peppers and the green. Cool for an hour before you serve.